The business world has transformed beyond recognition in the past few decades. Advances in communication and information technology have changed the face and pace of business to such an extent that without it you probably won’t make it. Running a business is hard, there are many balls to juggle and without visibility this is almost impossible. We believe there are 6 key areas to focus on when managing a successful business. Power BI can help you manage these. What do all these things have in common? To be able to maintain control and make informed decisions all are reliant on some degree of information. Reporting tools have become the new hot business essential, the contest between them has been on for years. For our top three self service business analytics tools, check out our Business Analytics Overview blog. For us, not all reporting tools are created equal. 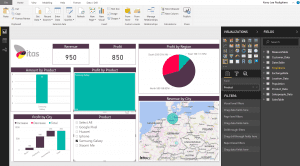 Power BI is a free tool that integrates with almost any platform! 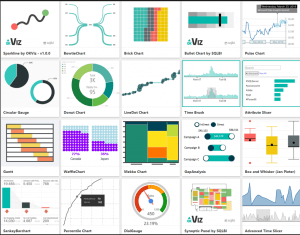 There are some wonderful visuals, coupled with simple easy-to-use, drag and drop reports. 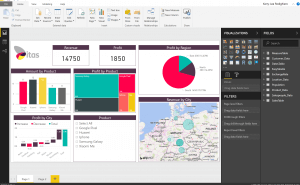 From report types, to multiple connections here are some of our favourite features of Power BI! All the reports you create are shared on the web. Giving you the ability to share information with colleagues all over the world. National and international trading means you need readily accessible, real-time data anywhere, anytime. You can publish to the web with just one click. And whether your team are looking at these reports on a 32” monitor at work or a 6” screen on their phone – it’s no problem! You can create specific layouts for both phone and desktop. This means there is no zooming in and out of ill fitting reports on your smartphone or tablet. Building reports is quick and simple. 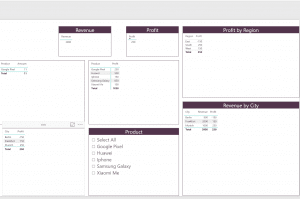 Meaning end users can create and distribute customised reports on the fly. Put them into a format of their choosing or email it directly from the web browser. This ability means you are no longer reliant on the IT department to build complex queries for reporting. 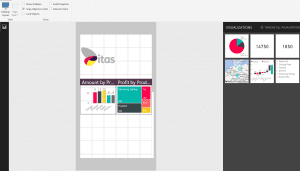 Your reports and dashboards should be an effortless sharing of insight and information – Power BI enables this. Good dashboards display detailed information in a clear attractive format. Great dashboards are interactive! They filter, sort, and drill town to display as much, or as little, data as you want to show at any specific time. Let’s be honest, they amuse and keep you awake in meetings. Download custom visuals, from hundreds of choices to best suit the data you need to show, and include slicers to sort and filter. Select one product from a slicer and all the tiles change to display only information pertinent to that product. Display multi-level data in a bright, clear, graphic view; enabling you to read your data, in a variety of combinations and comparisons, to make executive decisions with real-time information that not only uncovers problems but also points towards a solutions. We share our support, sales and project team dashboards on the wall in the office so that everyone can monitor performance in real time. 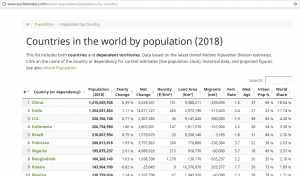 See your top 10 products over the last year; see which counties performed the worst over the last 5 years; apply highest product sales to customer demographics and calculate international sales against world population figures. View your data in a higher level, then drill down to reveal the data making up those figures all in one place, on one screen without having to locate source documents or a different information system. 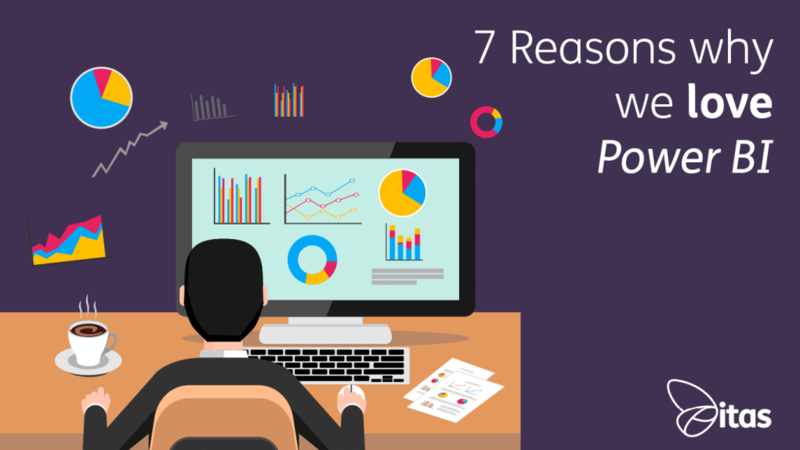 Power BI is an easy to use, adaptable piece of software that brings value to data instantly. With a wide range of data sources and visualisations available, you can create presentable and informative reports and dashboards. Sharing you work couldn’t be simpler with a cloud based system and mobile optimised views. If you are interested in how Power BI may be able to help propel your business forward, get in touch with our knowledgeable and friendly team!